I always thought using public transportation was a good way to get around, but it takes a little getting used to in a new city. 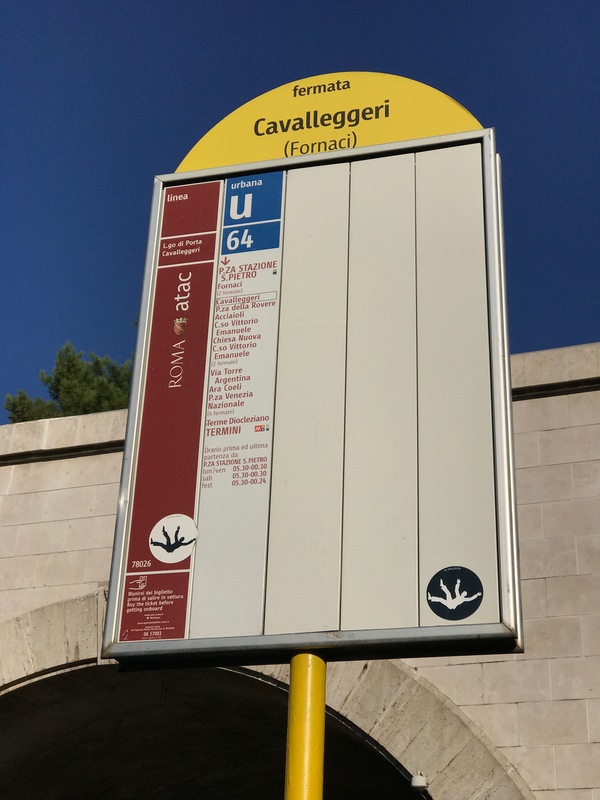 Rome has many maps of the bus, subway and tram routes available. They use a 3pt font ( at least from the perspective of my old eyes ). Google Maps offers real time routing for public transportation. 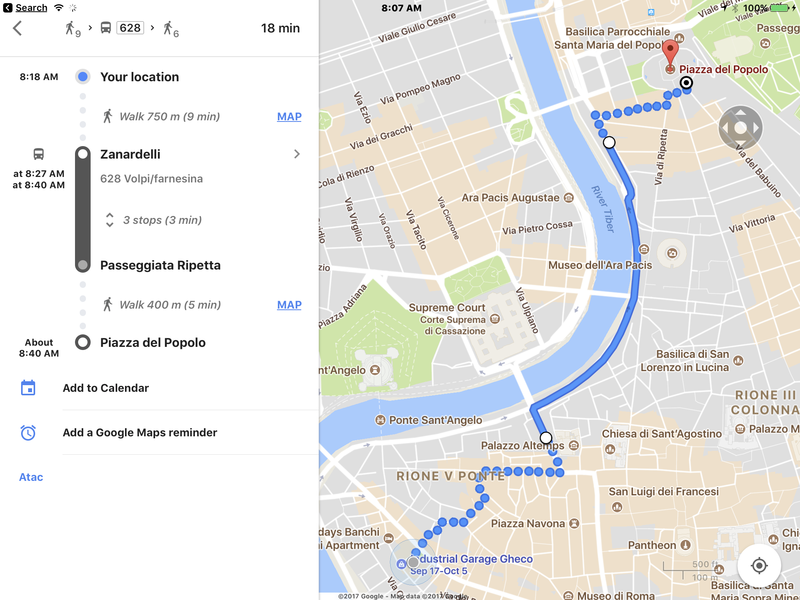 In this case, I searched for Piazza del Popolo so I could visit the church that houses some Caravaggio paintings. I like the fact that the map will update as you walk, or take the bus. Helps to know when to get off. 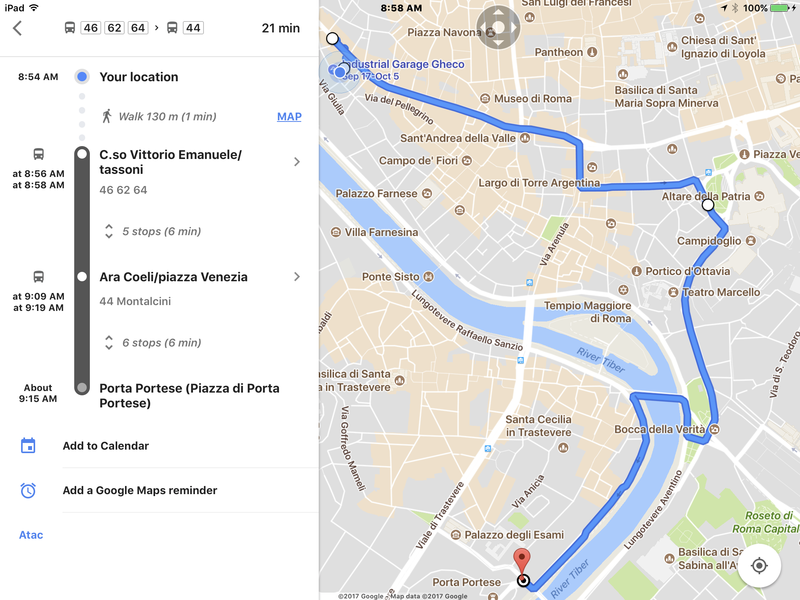 We used this routing to get from our apartment to the Porta Portese flea market. It was a fairly quick ride with only one transfer. 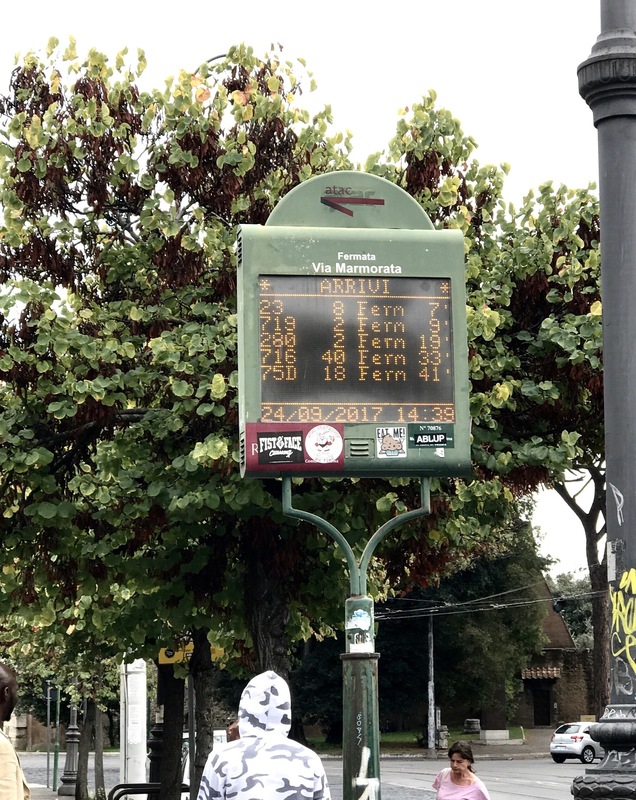 At all bus stops, fermata, you find a route listing with the sequential stops listed. The arrow points to the direction of travel. Some stops have the video board listing buses arriving at your stop and approximate time before arrival. We found this to be very accurate. Most of the Google routes are easy to follow. Expand the map section for details as you walk to a stop or between stops to final destination. This does require cellular data, and I would advise on an unlocked phone and purchase a SIM card on arrival in your country of choice. TIM has a great store at the Rome airport. Very helpful and my phone was activated in 10 minutes with all questions answered. Rome for 18 days, it is a trip.